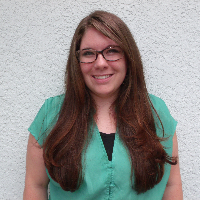 Hello, my name is Christina Crain and I am passionate about supporting Christians in the counseling world. I am a licensed professional counselor in the state of Missouri and as a licensed mental health counselor in the state of Florida. I also am a nationally certified counselor and a certified clinical mental health counselor through the national board of counselors. My background has supported churches for over 10 years. I have a bachelor’s degree in the Bible and earned my masters counseling degree from a Christian University. I’ve supported local churches by starting a counseling ministry in the local church in Scranton PA, and for working for a local church in Tampa Fl for over 3 years to get their support group program up and running. I truly believe that God has a hope and a future for us and that we can find comfort through Him. I have worked with clients all over the world and really enjoy the platform of using virtual counseling to reach Christian’s around the globe. Through my experience in counseling, I have worked for over 10 years with clients facing difficult times in their life. Many of my clients have struggles with depression, anxiety, relationships, parenting difficulties, trauma, eating disorders, OCD, self-harm, ADHD, or simply transitions in their life. It does not matter if you are an Individual, couple, or family; not matter what you are going through, being alone is not something to add on top of your circumstances. My counseling approach sees people without judgement. In a world where everyone has an opinion my hope is to be someone to hear you and understand you. I never want my clients to feel alone when life is difficult. I believe everyone has relational needs to be met, that our experiences can link to our emotions, thinking and behaviors, and that there is always hope not to matter what the circumstance or what your past. Christina takes the time to really understand me as a person with my own background and opinions. She helps me make healthy decisions by guiding me through the process so that I can navigate it on my own next time! She’s is the best! Honest, clear with expectations and checking to make sure I follow up on my HW, always prays with me, and super helpful with real applicable advice and/or suggestions.